UCount Rewards for Business is Standard Bank’s exciting new rewards programme – exclusively designed for businesses. As a member of UCount Rewards for Business you will enjoy a host of benefits and rewards that will assist in moving your business forward. Here we answer some of your most frequently asked questions about the programme. Which businesses qualify to sign up for the UCount Rewards for Business programme? In addition, customers must have a qualifying Business Current Account, or includes BizLaunch. Who in the business can sign up for on the business’s behalf? Only one of the authorised signatories on the Business Current Account that we have on our records will be able to sign up for the programme on the behalf of the business. I have more than one Business Current Account: can I sign up all of these? If all of your Business Current Accounts are linked to the same Business entity then you only need to sign up for one UCount Rewards for Business account. Any signatory of any of these Business Current Accounts will be able to sign up for the programme, after they obtain a resolution from the business, and give it to your Business Banker. The resolution is a pre-requisite to signing up only for a Business entity with more than one Business Current Account linked to it. What happens if the authorized transactor changes? You may phone into the UCount Rewards Contact Centre and change the transactor on the rewards account. If the transactor is no longer an authorized signatory, how do I change this? Our data will pick up that the transactor is no longer an authorized signatory on your Business Current Account. We will block your rewards account redemptions until the signatory details have been updated and a new transactor is registered. Will minors be eligible to sign up for the UCount Rewards for Business programme? Yes, with the consent of a parent or guardian. Registration will need to be done via your Business Banker. Are personal banking customers eligible for the UCount Rewards for Business programme? Personal Banking customers are only able to sign up if they have a Business Current account or BizLaunch account which they would like to sign up for UCount Rewards for Business. The UCount Rewards and UCount Rewards for Business accounts will be operated separately and Rewards Points cannot be transferred between the programmes. What happens if the Standard Bank system does not have a cellphone number or email address for me as a signatory? You will be able to sign up for for the programme. You will be able to collect rewards points. You will be able to create your online profile once you update your cell phone with your Business Banker. What will happen if I cancel my Business Current Account or BizLaunch account? How much does it cost to be a member of UCount Rewards for Business? There is a membership fee of R365 a year, payable by debit order from a Standard Bank Business Current account or BizLaunch account only. Why is my first debit order amount higher than the annual membership fee of R365? The UCount Rewards for Business membership fee is charged in advance for the year and will be valid from the day you sign up to the day before your debit order runs on your selected date. A pro-rated fee will be added to your membership fee and means you will be able to start collecting rewards points as soon as you sign up. Will I pay this higher amount again? Only if you change the day of the debit order, this may impact the first debit order after the change. Pro-rated fees may therefore be added to your next annual debit order. Which period is covered by the pro-rated fee? UCount Rewards for Business membership fee is charged in advance for the year and it will cover you from the day you sign up to the day before your first debit order runs. Can I pay my membership fee by debit order from any account? The UCount Rewards for Business debit order can only be loaded against your Standard Bank Business Current Account or BizLaunch account. No payments from the accounts of third parties will be allowed. Will I be allowed to make changes to my debit order details once the registration has been completed? What happens once I have successfully sign up as a UCount Rewards for Business member? We will send a welcome letter addressed to the business as well as to the all the Business Current Account Signatories, including you the Transactor. This welcome communication will confirm registration and the debit order payment for the programme. If you signed up with an e-mail address, we will send you a welcome e-mail detailing how the UCount Rewards for Business programme works, together with the programme terms and conditions. A separate letter containing your Business Rewards Card will be sent to the business signatory who signed up for the programme by post. Should you sign up for the programme and not provide an email address, you can pick up a Welcome Pack from your Business Banker at a Standard Bank Branch. Included in your welcome pack is a welcome brochure, your Business Rewards Card and the terms and conditions for the programme. Should you require your Welcome Pack to be couriered to you, please select this option when signing up for the programme. There will be additional costs for couriering the card to you. Card Fees. If you do not receive your welcome pack via email or courier within 21 days of signing up, please contact the UCount Rewards Contact Centre and we will arrange for a new Welcome Pack to be resent to you. What is the Business Rewards Card and what is it used for? The Business Rewards Card is a pre-paid debit card which can be used to redeem your rewards points at our Rewards Retailers, Redemption Retailers such as the Bidvest Premier Airport Lounges in South Africa, and for fuel at Caltex. Where can I use my Business Rewards Card? Your Business Rewards Card can only be used for redeeming rewards points at our Rewards Retailers, Redemption Retailers, Bidvest Premier Airport Lounges and at Caltex. Do I need to swipe my Business Rewards Card before I swipe my Standard Bank card to collect rewards points? No, you only need to swipe your Business Rewards Card when you are redeeming your rewards points. Once you have signed up you will automatically start collecting rewards points on all qualifying card transactions, using your qualifying Standard Bank Business Credit, Cheque or Debit Card. Can I use my Business Rewards Card to withdraw cash from an ATM? No, you cannot use your Business Rewards Card at an ATM (i.e. to withdraw cash, make transfers or get balance enquiries). Can I use my Business Rewards Card internationally? No, your Business Rewards Card can only be used in South Africa at Rewards Retailers, Redemption Retailers, Bidvest Premier Airport Lounges and for fuel at Caltex in South Africa. How do I report a lost or stolen Business Rewards Card? Contact the UCount Rewards Contact Centre immediately on 0860 82 68 68, twenty four hours a day, seven days a week. During office hours you will be transferred directly to a consultant who will assist you to cancel your Business Rewards Card. After hours, the UCount Rewards Contact Centre’s Interactive Voice Response system (IVR) will give you the option to report your card as lost or stolen. You will then need to phone again during working hours to request your replacement card. Online via the UCount Rewards for Business website. Simply log in with your Username and Password, then click on the UCount Rewards Card tab and select either Cancel or Suspend card. How do I get a new Business Rewards Card? You can order your replacement card by calling the UCount Rewards Contact Centre on 0860 82 68 68 or by logging on to the UCount Rewards for Business website. The card will be couriered to you or you can collect one from your Business Banker at a Standard Bank branch. You will need to activate the Card either online on the UCount Rewards website, or via the UCount Rewards Contact Centre. What do I do if I would like to dispute a Business Rewards Card transaction? You must call the UCount Rewards Contact Centre on 0860 82 68 68 or email [email protected] and report the disputed transaction/s immediately. It will take approximately 45 business days to investigate the dispute. Is there a limit as to how many rewards points I can redeem on my Business Rewards Card? For your protection you can redeem a maximum of R30 000 worth of rewards points a calendar month on your Business Rewards Card. What is my UCount Rewards Cards 3D SecureCode? 3D Secure means 3D Secure, a free service which provides an extra layer of security when making online purchases from merchants, including any updates and/or upgrades to 3D Secure from time to time. Your UCount 3D SecureCode is a 5 digit code number that is used to authorise online transactions for purchases at Rewards Retailers. 3D Secure is an internationally-recognised security standard which protects your Business Rewards Card against unauthorised online use. CVV is an anti-fraud security feature to help verify that you are in possession of your credit card. For Visa/MasterCard, the three-digit CVV number is printed on the signature panel on the back of the card immediately after the card’s account number. How do I get my Business Rewards Card 3D SecureCode? Login to the UCount Rewards for Business website, select ‘Manage your Business Rewards Card’ and then select ‘Get my 3D SecureCode’ from the options available. Why can’t the Contact Centre agent provide me with my 3D Secure Code? For your security, the UCount Rewards Contact Centre does not have access to the One Time Pin that will be sent to your cellphone to verify that it is you requesting your 3D SecureCode. Why is the 3D SecureCode process different for my Business Rewards Card and SBSA Cheque/Credit Card? The UCount Rewards Card uses a static 3D SecureCode process and while your SBSA Cheque/Credit card uses a dynamic 3D SecureCode process. What happens if I forget my Business Rewards Card 3DSecureCode? You can simply log into the UCount Rewards for Business website, select ‘Manage my UCount Rewards Card’ and then select ‘Get my 3D SecureCode’ and a new 3DSecureCode will be generated. Yes, you would need to select ‘Get 3D SecureCode’ to generate a 3D SecureCode for the new or replaced Business Rewards Card. Do I also need to use my 3D Secure Code for instore redemptions with my Business Rewards Card? Where can I collect rewards points? Card Rewards – You can collect up to 1.25%* back in rewards points on your everyday qualifying Business Card spend by just swiping your Business Cards. Tier Rewards – Collect up to 500* points per month in Tier Rewards even if you haven’t used your Cards. Social Rewards – Collect rewards points on social media by linking your Twitter and/or Instagram accounts and get rewarded for positive interactions with #UCountBusiness. What is a dual membership bonus and how do I qualify? A Dual Membership Bonus will be awarded to your Business Rewards Account if the director or shareholder or business representative or sole proprietor (as the case may be) is registered on both the UCount Rewards and UCount Rewards for Business programmes for 12 consecutive months. What is a rewards point worth? Can I collect rewards points on my UCount Rewards for Business account when using my personal Credit, Cheque or Debit Card? No, only qualifying business banking cards are eligible to collect rewards points on the UCount for Business Rewards programme. However if you are also a member of the UCount Rewards programme you will be able to collect rewards points on the personal UCount Rewards programme using your qualifying personal Credit, Cheque or Debit cards. What if I use all my Standard Bank business cards for purchases? You will collect rewards points at the rate applicable to the card type you used for each transaction or purchase, calculated in a chronological order. Qualifying Debit and Cheque Card purchases will collect rewards points at the same collect rate while Qualifying Credit Card purchases attract rewards points at a higher collect rate. At what collect rate do I collect rewards points if I use SnapScan to pay for a transaction? You will collect rewards points at the rate of Card Rewards applicable to the type of qualifying Standard Bank Business card loaded onto your SnapScan app. That is, if you loaded your qualifying Standard Bank Business Credit Card details onto your SnapScan app, you will collect rewards points at the rate applicable to Credit Card for your Business Rewards tier for all SnapScan transactions. What if I pay for the same transaction partly with my Debit/Cheque and partly with my Credit Card? You will collect rewards points at the collect rate applicable to the card type for each portion of the value paid with that card. If I spend on both my Debit/Cheque and Credit Card, will I collect rewards points on both cards? Yes, at a rate applicable to each card. How often will my rewards points be credited to my UCount Rewards for Business account? Rewards points will be allocated retrospectively and credited to your UCount Rewards for Business account on the last day of each month. Example: rewards points for purchases made on the 16th of October to the 15th of November will be allocated to your rewards account on the last day of November, that being 30th November. If any of the products you hold with us are not in good standing, you will not collect or redeem any rewards points even if there are some products that are in good standing. What is a fixed cycle? Fixed Cycle means the period of time that runs from the 16th day of one month until the 15th day of the following month. Eligibility to collect and/or redeem rewards points is determined on the last day of every fixed cycle. What does it mean to be in ‘Good Standing’? Good Standing means that you are not in breach of any of your obligations towards us, all your accounts with us are up to date, not in arrears, dormant, or overdrawn and you and all your accounts are FICA compliant, compliant with all other applicable laws and our internal polices or are considered to be in good standing for any other reason. You will be deemed to not be in good standing if you default on any of the above, or if you default on any restructured payment plan agreement you have arranged with us. May I still sign up UCount Rewards for Business if any of my accounts are not in Good Standing? No, you may not sign up for the programme. What are the consequences for me if my account is not in Good standing? You will collect rewards points but will not redeem any rewards points if any of the products you hold with us are not in Good Standing, even if some of your products are in Good Standing. You will also need to continue to pay your annual membership fee. When does UCount Rewards for Business determine my status as in ‘Good’ or ‘Bad’ standing? Your standing with and your eligibility to Collect and/or Redeem rewards points will be determined on the last day of every Fixed Cycle (refer to the definition of fixed cycle above). What if I disagree or want to dispute my bad standing status? You will have 60 days after the end of the month in which your status was defined as ‘not in good standing’ to query your account status by contacting the UCount Rewards Contact Centre. Social Rewards is a new way in which you can collect UCount Rewards points. You will collect reward points for linking your Twitter Account to UCount Rewards. You will also be rewarded for your positive interactions with the following hashtag #UCount. No, you cannot link your FACEBOOK and /or Instagram account at present – this restriction is based on data privacy laws from Facebook and Instagram. Will Standard Bank/UCount Rewards have access to my social media profiles? Yes. When you link your accounts, the authorisation allows Standard Bank and/or UCount Rewards to see when you are talking about UCount Rewards so that you are able to collect more rewards points. Standard Bank and/or UCount Rewards will not access any further details on your profile without your permission. What will Standard Bank and/or UCount Rewards be able to access when I link my social media accounts? What do I do if my rewards points were not allocated or are incorrect? What are Rewards Tiering Levels? The UCount Rewards for Business tier level that you qualify for is based on the total number of your Rewards Tier Points, which is set out in the Programme Rules. Your Rewards Tier Level will determine your Collection Rate for the Fixed Cycle. When is my Rewards Tiering Level determined? Rewards Tier Level/ Tiering Level means the UCount Rewards for Business tier that you qualify for based on the total number of your Rewards Tier Points, which is set out in the Programme Rules. Your Rewards Tier Level will determine your Collection Rate for the Fixed Cycle. How do I know what Rewards Tier Level I qualify for each month? Call the UCount Rewards Contact Centre on 0860 82 68 68. Does my tiering points have any value? No, they are only used to establish which Rewards Tier you fall into for a particular month. Your tier will, however, determine what your collect rate will be. What is a 12 month period? A 12 month period refers to 12 consecutive months, for example from September 2016 to August 2017. How do I redeem my collected rewards points? By swiping your activated UCount Rewards Business Card at any of our Rewards Retailers, Redemption Retailers such as the Bidvest Premier Airport Lounges, or at Caltex. How do I redeem my rewards points into my Notice Deposit account? You can redeem a minimum of 2500 rewards points (R250) into your Notice Deposit Account on the UCount Rewards Online Mall or by calling the UCount Rewards Contact Centre on 0860 82 68 68. How do I redeem my Rewards Points towards funding a student’s education? You can redeem a minimum of 1000 Rewards Points (R100) towards a student’s tertiary education at www.feenix.org. You will need to create a profile on the Feenix.org website, to select the student click on Find a Student. To donate simply enter your UCount Rewards Card details and your 3D SecureCode on the order check-out page. Feenix™ does not work on Internet explorer 10. Update your browser or use a different internet browser, e.g. Google chrome. Can I transfer my rewards points between my personal UCount Rewards and UCount Rewards for Business programme? No, for tax purposes your rewards points need to remain separate. I have forgotten my Business Rewards Card PIN. How can I request a new one? You may submit a PIN reset request via the UCount Rewards website or by calling the UCount Rewards Contact Centre. If you reset your PIN via the website you can choose your own PIN number, however if you reset your PIN via the UCount Rewards Contact Centre you will receive an SMS with your new PIN. You will receive three (3) PIN resets for free on your UCount Business Rewards Card, thereafter a fee of R4.50 (450 rewards points) will be charged against the balance in your UCount Rewards account each time you reset your PIN. What happens when I get a new or replacement Business Rewards Card? If you receive a new or replacement Business Rewards Card for an expired, lost or damaged Card, your new Business Rewards Card will have the first 3 PIN resets free, and you will only be charged from the 4th PIN reset onwards. If I reset my Business Rewards Card PIN, should I reset my 3D secure PIN as well? No, your 3D secure PIN does not have to be changed if you are using the same Business Rewards Card. If your card was lost, stolen, or damage, then you will have to change your 3D secure PIN as well. Who can buy from the UCount Rewards Online Mall? All Standard Bank customers who have a Standard Bank Business Credit or Cheque Card can make purchases on the UCount Rewards Online Mall. You will earn 3.75% in Rewards Points if you shop online on the UCount Rewards Online Mall (while logged on) using your SBSA Business Credit or Cheque Card, excluding purchases of airtime, eVouchers and redemptions on charities, Avios, SAA and saving & investments (Notice Deposit). However, UCount Rewards for Business and UCount Rewards members can purchase from the UCount Rewards Online Mall using their rewards points, as well. You can pay in full using any Standard Bank cheque or credit card only. There is a wide range of products and services available at competitive prices. Click here for more information. How are purchased items delivered? UCount Rewards will securely deliver your purchase directly to your door. Delivery charges are calculated per order and will be displayed on Check Out. 0 – 50 km = R115 per delivery 51 – 100km = R160 per delivery Over 100km = R220 per delivery. Can I pay for my delivery using rewards points? Yes, you may pay for delivery using your rewards points, a Standard Bank cheque or credit card, or combination of both. Can I part pay for goods on the UCount Rewards Online Mall? You can pay in full using any Standard Bank cheque or credit card. What if I want to return an item I purchased on the UCount Rewards Online Mall? When the courier delivers your goods, always open the package and check that you have received the correct order and that no goods are damaged, before signing the waybill. Once you sign the waybill you are confirming that you have had an opportunity to examine the goods, accept delivery and have received the goods in good condition. If you are not completely satisfied with the goods you received or you received the wrong goods or you received damaged goods, and you have not yet signed the waybill, you may return the goods immediately, with the courier. Goods can be returned, securely packaged, to UCount Rewards at 14 Stibitz Street, Westlake, Cape Town, 7945. Always include a copy of your tax invoice as reference. We can also arrange collection of the goods for a fee, which will be quoted by one of our customer service consultants. If the goods you received were damaged upon delivery, we will arrange collection of the goods free of charge. Who can buy from the UCount Rewards Travel Mall? All Standard Bank customers who have a Business Credit or Cheque Card, even if they are not Rewards Members are able to make purchases on the UCount Rewards Travel Mall. How do I qualify for the Travel Rewards? You need to logon to the UCount Rewards Travel Mall, as a Business Rewards transactor or call the UCount Rewards Contact Centre. For domestic flights, you will receive up to 40%* back in rewards points on the base fare of any domestic flight booking you make on the UCount Rewards Travel Mall only, using your qualifying Standard Bank Business Credit or Cheque card. Do I only qualify for Travel Rewards for purchases on the UCount Travel Mall? Yes, Travel Rewards are only awarded for purchases on the UCount Rewards Travel Mall. If the UCount Rewards Travel Mall is offline, you may make a booking via the UCount Rewards Contact Centre and will be awarded rewards points for this purchase. You can pay in full using any Standard Bank Business Credit or Cheque only. There is a wide range of products and services such as flights, accommodation, car hire, and holiday packages available at competitive prices. Click here for more information. How are items purchased on the UCount Rewards Travel Mall delivered? Depending on your booking, tickets, itineraries etc. will be sent to you electronically. Can I change or cancel a booking made on the UCount Rewards Travel Mall? You must contact the UCount Rewards Travel Help Desk on 0860 82 68 68 if you need to change or cancel your booking. An administration fee will be charged for any cancellation or change to your booking. Refer to the website for details of administration fees. Can I purchase a visa on the UCount Rewards Travel Mall with my rewards points? No, you cannot purchase a visa with rewards points. You may however use our visa services on the UCount Rewards Travel Mall. The payment options are specific to the actual visa required. Who do I contact if there is an emergency regarding my travel booking? You can contact the Travel Help Desk on 0860 82 68 68 for any travel related emergencies. Why does Standard Bank charge a traveller support fee for bookings made via the UCount Rewards Travel Mall and what is it for? Management of your booking to ensure your reservations and payments have been confirmed with suppliers, that your documents are available within 36 hours of your booking and that you are immediately aware of any schedule changes that may affect your travel itinerary. Emergency assistance services available throughout your trip – 24 hours a day, 7 days a week. The relevant traveler support fee is indicated on the UCount Rewards Travel Mall payment page and you will have to approve it as part of the total cost before you confirm details for payment. Do I qualify for Travel Rewards Points for Domestic and International purchases? No, you are only awarded Travel Rewards on domestic travel purchases via the UCount Rewards Travel Mall, not international travel purchases. You do however, collect up to 1.25%* on all domestic and international travel purchases via the UCount Rewards Travel Mall. Which Rewards Retailers can I collect rewards points from? How will I know the collect rates of Rewards Retailers? How do I collect rewards points at Rewards Retailers? Simply swipe your Business Credit, Cheque or Debit Card at any of our Rewards Retailers and you will be awarded with rewards points. How do I redeem rewards points online at Rewards Retailers? 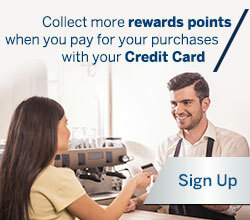 Use your UCount Business Rewards Card when paying for your purchases (either instore or online) and redeem your points. Can I return goods purchased at Rewards Retailers with my rewards points or with my Standard Bank Business card? Yes you can. However when goods purchased at Rewards Retailers with rewards points are returned, the rewards points cannot be refunded back into your account. Rewards Retailers will provide you with a gift card / voucher to the value of the purchase returned in accordance with their return policy. You can obtain the UCount Rewards for Business Terms and Conditions and Programme Rules by phoning the UCount Rewards Contact Centre on 0860 82 68 68, by visiting any Standard Bank branch, or to view the Terms and Conditions or Programme Rules online, click here. How long does it take to sign up for UCount Rewards for Business? or call 0860 UCOUNT (82 68 68). How do I get hold of the UCount Rewards Contact Centre? What are the operating hours for the UCount Rewards Contact Centre? Monday to Friday from 8am to 5pm and Saturdays from 8am to 12pm. Closed on Sundays and public holidays. 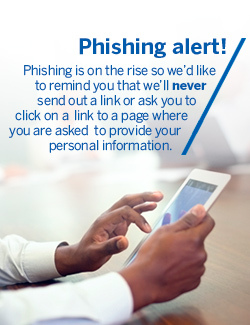 You can reset your Username and/or Password on the UCount Rewards for Business website www.standardbank.co.za/ucountbusiness or call the Contact Centre for assistance. How do I cancel my UCount Rewards for Business membership? Please note all unredeemed rewards points will be lost upon cancelling the membership. Can I re-join the programme after I have cancelled my membership? Yes, you can re-join the programme at any time after cancelling your membership. If you re-join within 12 months of cancelling, you will be charged a R36 re-joining fee. Should you re-join the programme after 12 months, no re-joining fee is charged. How do I re-join for the UCount Rewards for Business programme? Re-registrations can be done at a Standard Bank branch or online at www.standardbank.co.za/ucountbusiness or by calling the UCount Rewards Contact Centre on 0860 82 68 68. Are there any tax implications to being a member of UCount Rewards for Business? You are responsible for any tax implications on any rewards points collected or redeemed. You must get professional advice about any tax implications from your participation in the programme. Who can I contact if I have a query or complaint about the UCount Rewards for Business programme? Are rewards points paid out on deceased estates? If so, how are they paid out? If the Business is a sole proprietor, who has died, the account will be frozen. The executor must provide us with a certified copy of the death certificate and any other documents we may request. The executor may instruct us to transfer the Rewards Points to another member’s Rewards Account within 24 months of the death, failing which the Rewards Points will be lost. Any of the Rewards Points that expire during the 24 month period will be lost. The Rewards Account will be cancelled once the Rewards Points have been transferred or at the end of the 24 month period, as set out above, whichever is earlier. We accept no liability whatsoever related to the executor transferring or not transferring the Rewards Points to another member. Accumulated rewards points are valid for a period of five years from the date of issue, following which they will expire. How do I know how many rewards points I have collected? We will send the transactor an SMS with your rewards points balance each month, only if you have a minimum balance of 250 points. Log onto the UCount Rewards website using your username and password to download your rewards statement and to check your balance here. You can call the UCount Rewards Contact Centre on 0860 82 68 68.